A huge component of any APHL Annual Meeting is the exhibit hall. This year we were joined by 68 exhibitors, all of whom were sharing new and interesting products, services and technologies with meeting attendees. In today’s episode, we chat with representatives from Roche, Bio-Rad Laboratories and Hologic. Learn more about APHL’s corporate membership and other opportunities. 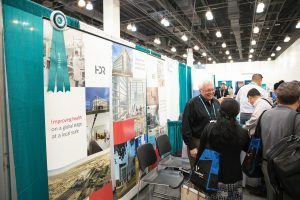 The post Reporting from the Exhibit Hall: Day 2 of the APHL Annual Meeting appeared first on APHL Lab Blog.